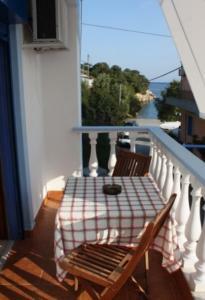 Quiet location, lovely balcony, big bathroom (unusual for most properties in Greece). The host (Mr Kostas) was very friendly. I would definitely stay in Mahi studios again! Brilliant location. Really clean. Costa was a lovely host. много добро местоположение. буквално на няколко крачки до живописен плаж и ресторант с вкусна храна, на пешеходно разстояние до пристанището на патитири, чудесна изходна точка за изследване на острова. добър Wi-Fi. през времето на престоя ни - началото на септември, беше чудесно, тихо и спокойно. La posizione vicinissima ad una bella spiaggia, con diversi ristorantini per cenare, se non si ha voglia di spostarsi. Inoltre é in una posizione strategica anche per andare al porto e alla città vecchia, con uno scooter. Appartamento comodo, spazioso e di recente ristrutturazione. La gentilezza e la disponibilità del proprietario. Bellissimo, carino e accogliente appartamento a 2 metri dalla spiaggia Rousoumi. Noi eravamo all'appartamento numero 1. Ampio soggiorno, camera da letto, bagno e terrazzino con vista mare per fare la propria colazione. Pulizia ottima. I proprietari sono 2 fratelli e sono persone graditissime. Ci hanno accompagnato con la propria auto al porto. Hanno anche un ristorante sulla spiaggia. Lock in a great price for Mahi Studios – rated 8.8 by recent guests! 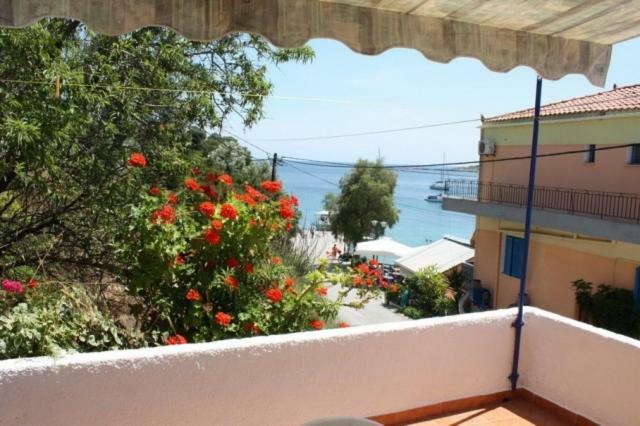 One of our top picks in Patitiri.Just 50 feet from Roussoum Beach in Alonissos, Mahi Studios features free Wi-Fi and self-catered apartments with a furnished balcony overlooking the Aegean Sea. The center of Patiriri is half a mile away. All apartments provide a kitchenette with a fridge and small oven with stove burners. A sitting area with a TV is included. 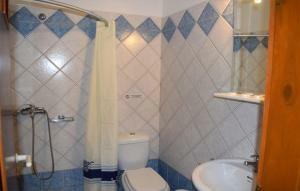 Studios Mahi have a private bathroom with a bathtub or shower. Patitiri has bars and taverns serving fresh fish and local dishes. 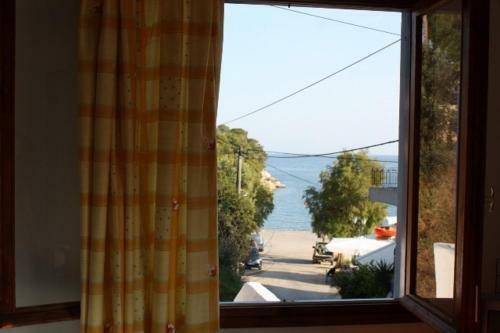 The famous beach of Chrisi Milia is 2.5 miles away. The town of Alonissos, the old capital, is 2 miles away and is famous for its whitewashed houses and Byzantine Churches. 뀐 Located in the top-rated area in Patitiri, this property has an excellent location score of 9.1! 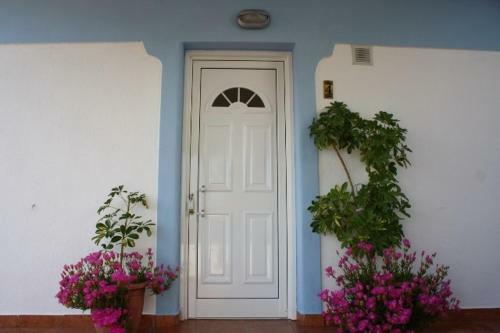 When would you like to stay at Mahi Studios? This studio offers 2 single beds and 1 sofa bed or 1 double bed. House Rules Mahi Studios takes special requests – add in the next step! Mahi Studios accepts these cards and reserves the right to temporarily hold an amount prior to arrival. Please inform Mahi Studios of your expected arrival time in advance. You can use the Special Requests box when booking, or contact the property directly using the contact details in your confirmation. Aircon had minimal cooling effect in the bedroom as the unit was located too far away. The LED on the emergency light above the front door was exceptionally bright at night, especially with the bedroom door open for ventilation. Sometimes the other residents were a bit noisy but not too bad.